Mexico is a hotspot for the medical important genus Centruroides Marx, 1890 (Buthidae) with appr. 45 species registered and now Javier Ponce-Saavedra and Oscar F. Francke have described a new species from Sonora State, Mexico. Centruroides lauriadnae sp. n. is described from Sonora State, Mexico. This species belongs to the so called “striped” group in the genus (sensu Hoffmann, 1932). 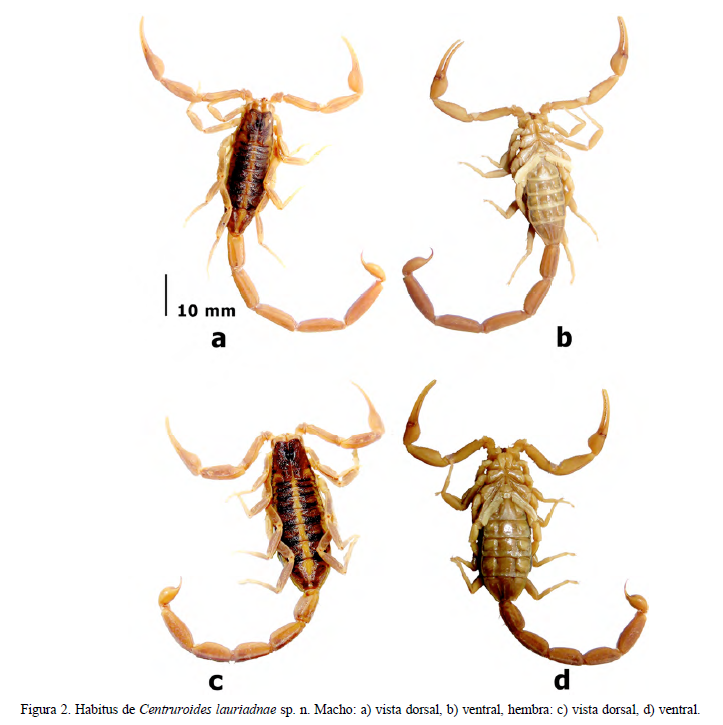 It is compared with the 2 other species recorded for Sonora: C. pallidiceps Pocock and C. sculpturatus Ewing, as well as compared with C. suffusus (Pocock) of northern México.